I tried to bake Irish Soda Bread this weekend. I LOVE Irish Soda Bread. I know it is a weird thing to love, but I do. There is just something about it that I can’t get enough of. So, when mid-March rolls around, you’ll find me at Trader Joe’s throwing anywhere between one to five hunks of soda bread goodness into my cart (theirs is DELICIOUS). The interesting thing is that my husband could take or leave this item completely and so I’m often left to my own devices, polishing off pounds of this stuff. Want to know what I call that? His loss. However, as part of my culinary conquests (sounds dirty but is really just my fancy way of saying I’m trying to cook and bake more) I decided to forgo my knowingly tasty bread and ::gasp:: commit myself to having to consume whatever substitute I could come up with. I actually had a recipe on hand that my mom’s friend had shared and bravely went where I hadn’t gone before: to make bread. I’ll admit it. As far as breads go, I’m assuming this was a pretty easy one. No yeast involved. I didn’t even have to begrudge my lack of a pretty KitchenAid mixer given that this recipe required good old-fashion “folding”and I nearly shrieked with delight when I read that I was going to have to “make a well” with the dry ingredients. How fun. I preheat the oven, mix up the dry ingredients and everything is going well until I eff up the well! See, I have this problem where sometimes I don’t read ahead and think I know everything. 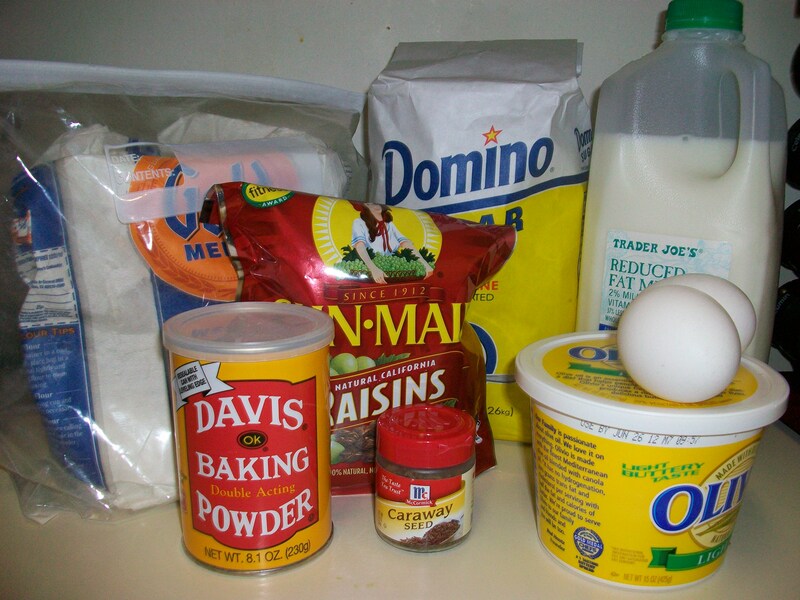 I missed the line where you were supposed to combine the wet ingredients BEFORE causing an avalanche of destruction in your mixing bowl. I obviously tried to rectify the fact that I basically just drowned an egg by mixing everything together once it had already been poured. Now, if that doesn’t look like the most disgusting thing you’ve ever seen…but, ONWARD. Actually, nevermind…now THAT’s the most disgusting thing you’ve ever seen. Despite my fumbles and substitutions (it called for margarine and I just don’t “do” margarine) the finished product actually didn’t turn out so terribly. Slather some butter on it – as with many things- and it’s actually pretty good. I’m sure if I’d followed the recipe and hadn’t been chatting on the phone instead of checking it in the oven towards the end of the bake time, it actually would have turned out beyond delicious. 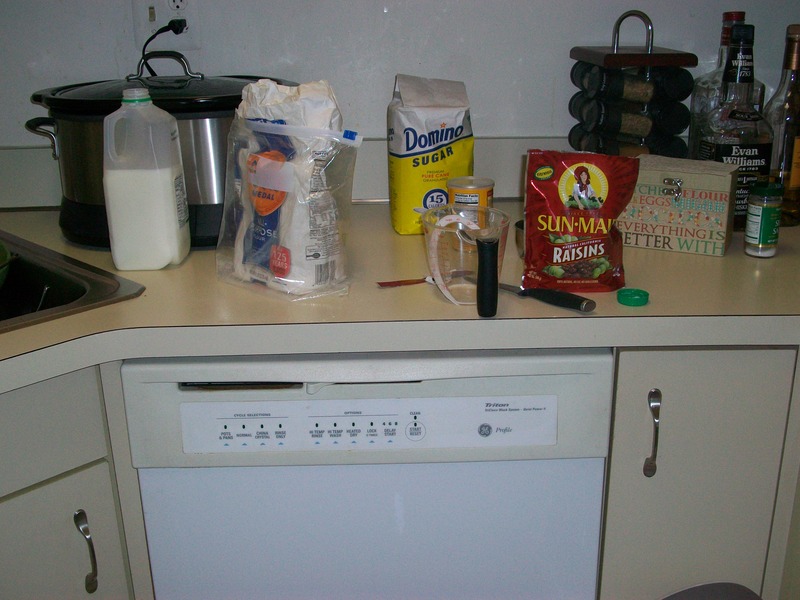 But, if my minor missteps weren’t enough to remind you of the role imperfection plays in the kitchen, lest we forget this part. Okay. 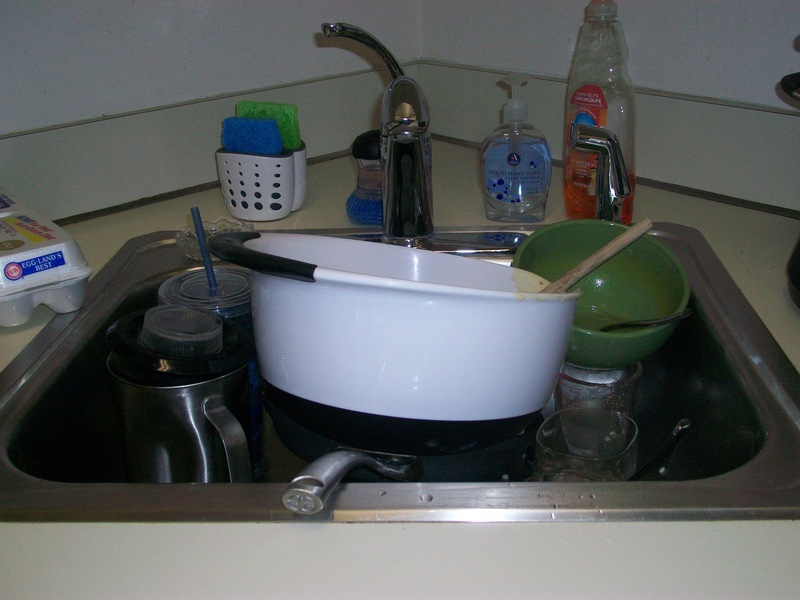 To be totally fair I actually only used a bowl, a spoon and some measuring cups. The rest is from breakfast and lunch that day. But, still! 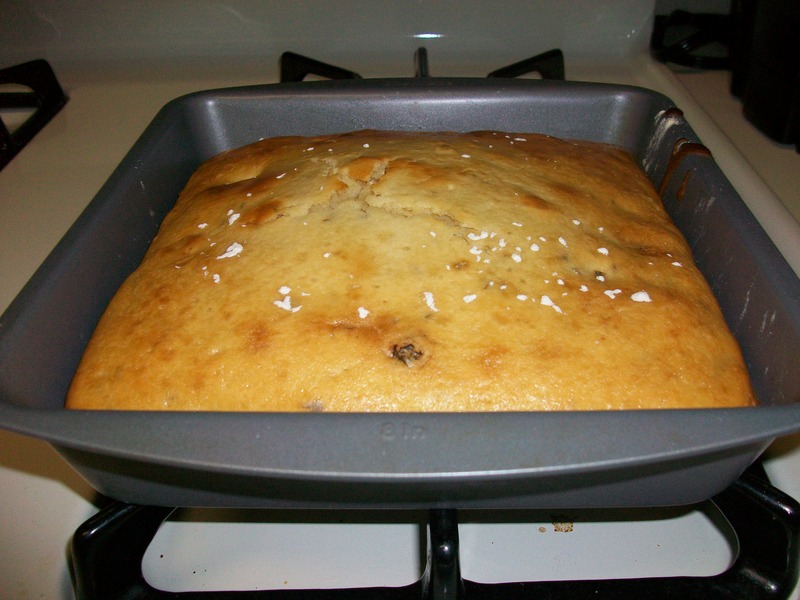 Fact 1: my husband actually liked it because it was “sweeter than most” Irish Soda Breads he’s had which he enjoyed. Fact 2: I’ve still personally consumed 7/8ths of the eaten bread. Fact 3: I don’t think irish soda bread is deserving of capitalization but I deem it VERY important and thus it is so. Takeaway message: Look the other way if you see my cart piled high at Trader Joe’s this weekend… A second helping won’t hurt anyone. 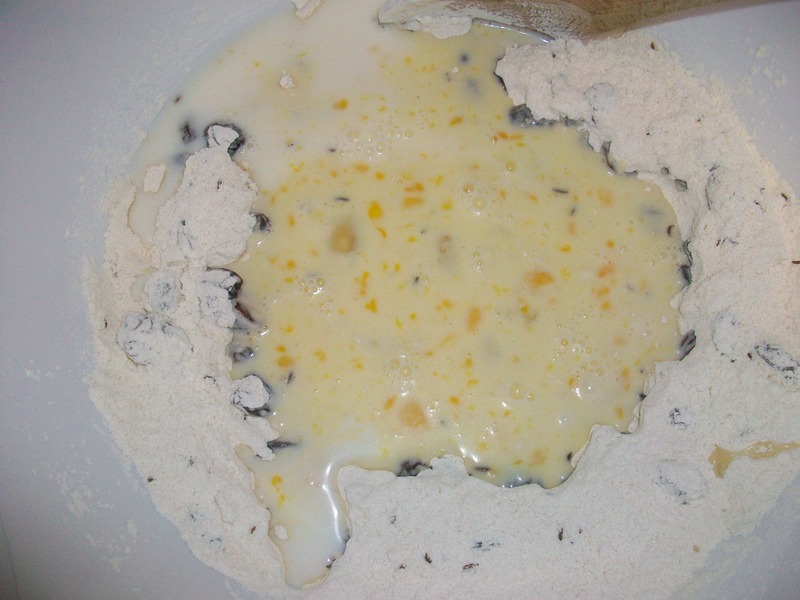 Mix all dry ingredients together in a bowl and make a well in the middle. 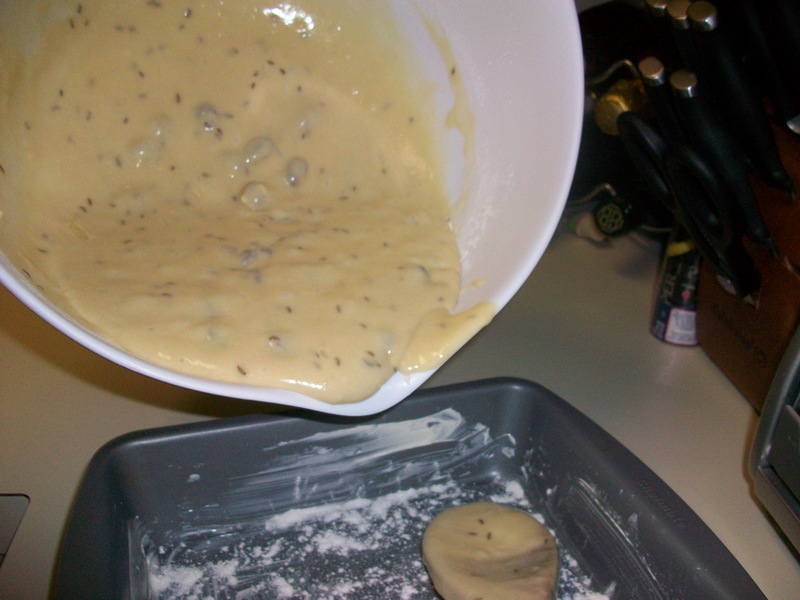 Pour the blended liquid ingredients into the well and fold in the dry ingredients. 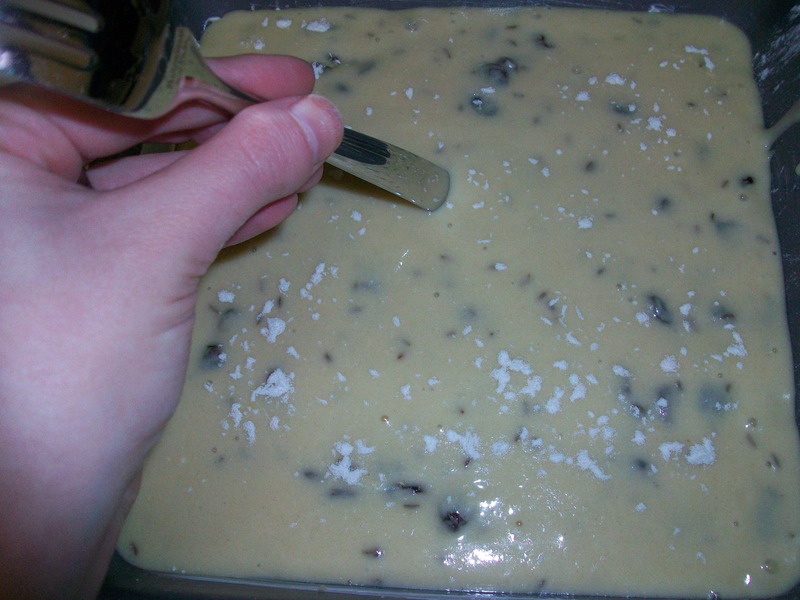 Put mixture in a greased and floured square or round cake pan. 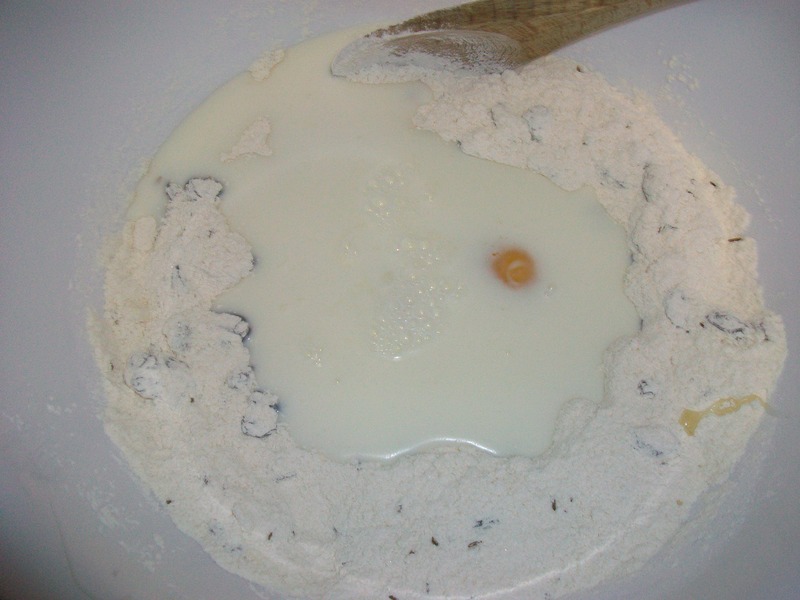 Dust top with flour and “mark with a T” with the end of a fork into the top of the mixture. Bake in a preheated 350 degree oven for 50 minutes. Can be frozen.